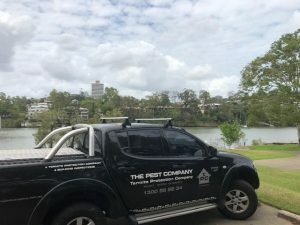 Protecting Brisbane homes from termites for 17 years. 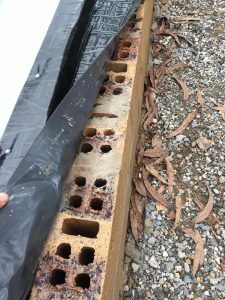 Needing termite protection on your Brisbane property ? Then rest assured you are in the right place. We offer a range of termite solutions that are affordable. Did you know ? Not every home is suited to every termite management product on the market, careful consideration needs to be taken into account when choosing a termite management system. Did you know that the construction method used to build your home assists us in making an informed decision on what product we use to protect the home. 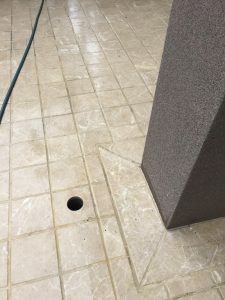 Termite chemical barriers installed in Brisbane areas where the slab is poured on the ground maybe an ideal construction to apply a chemical or physical barrier on a new or existing home. If the home is built into a hill, then we may reconsider a chemical barrier and offer an Interception and Baiting system that maybe a better choice. 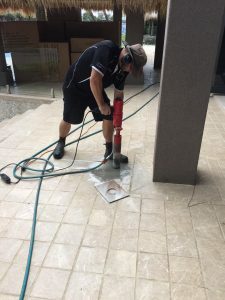 Building a new home, extension or just needing to protect your existing home, Avoid the confusion and call Brisbane Termite Protection today 1300552234. New homes built on a concrete slab pose a threat from termites. Building a new house requires the home to be protected and comply to Australian standards AS3660.1-2014. One common practise is protecting the home using a physical termite barrier that complies with the standard. An infill slab as pictured below shows how the slab is poured into the brick work, hence an infill slab. 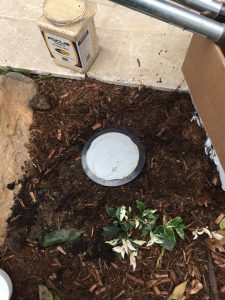 The physical termite barrier is installed to the perimeter to prevent concealed termite entry, forcing the termites outside to be seen. 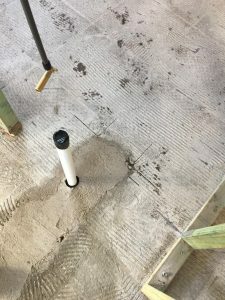 The slab its self must also be poured to comply with Australian standards to prevent termites travelling through the slab or a crack in the slab that may form later after the home is finished . Termites never stop so annual termite inspections or even 6 monthly inspections are an essential part of any termite management program. Call 1300 552 234 for advice. Brisbane Termite Protection busy this week installing the extra Interception and baiting system for a local home. Got to keep those termites out of your home! 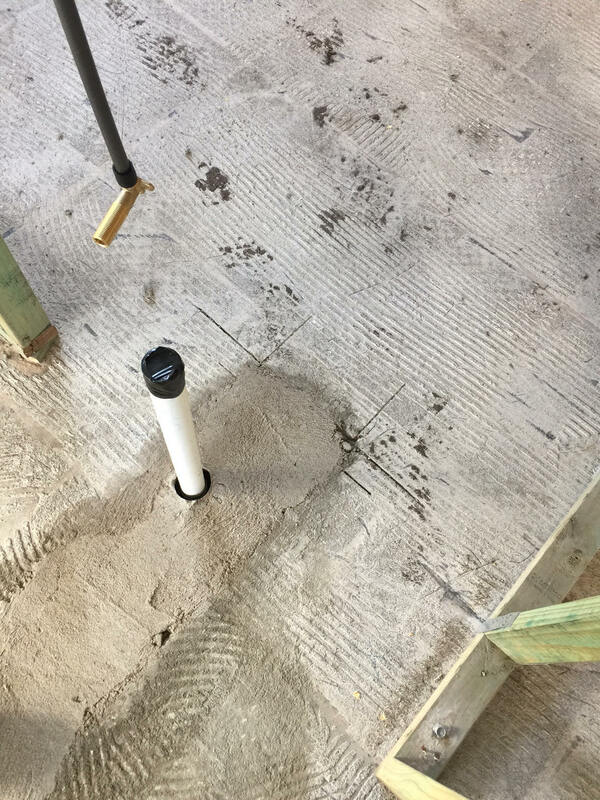 When cutting a concrete slab to install new pipe work in your existing home during renovations you’ll need to comply with AS3660.1-2014 as you are breaking the existing slab and pouring a new slab. 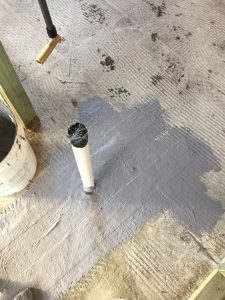 The best solution to protect to these areas from termites is sealing the construction joints and pipe penetrations- see below photos showing Termseal Termite Barrier installation. Termite management programs/systems/products – “How Many are there” There are a massive amount of quality products on the market with different modes of action that lead to protecting/managing a home from termite ingress. Many home owners may feel a little overwhelmed by the options available and the process maybe just from obtaining too many proposals from too many pest control companies. For this article we are referring to existing homes, Australian Standards, AS3660.2-2000. It is not just about the product on offer, it is about the method of construction used by the builder and the engineer when the home was built. Once the construction method is clearly understood options on termite management systems and their limitations can be provided. The decision making process becomes clearer for the home owners when they are fully informed on which system is the best for long term protection against a termite attack. Few ideas here, that may even be confusing – If the home is an existing property you may have more than one option 1. Chemical barrier/ treated zone option or 2. 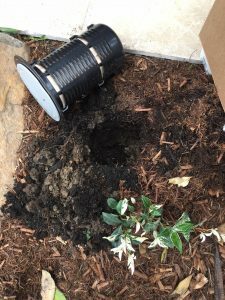 An interception baiting system, but before we go too far …… Is your existing home built into a hill or partially under ground or split level ? If yes, revert to 2. 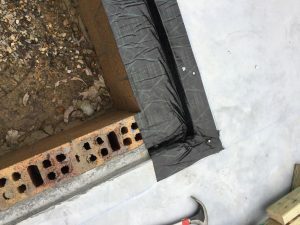 An interception and baiting system option that is most likely to be the best plan of attack as chemical applications may be limited in protecting the home, unless major construction works are carried out. 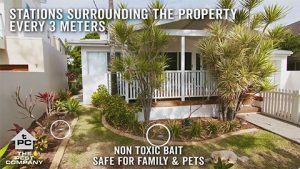 If the home is on a concrete slab then options maybe available to provide a Chemical treated zone / chemical barrier or An interception and baiting system. Don’t risk it, get an expert in. A site visit will always determine the best options available. Your choice of product – the products available to pest management technicians are endless, this adds to home owner confusion when selecting a product. The ideal solution in product selection should be a joint decision that is guided by the professional installer that the home owner trusts. Note: The most effective solution in choosing a product is placing trust in your pest technician as they should have the appropriate experience in products and construction allowing them to select the correct product that is best suited to your specific home. Furthermore, the home owner should ensure they gain detailed information behind the technicians decision and if limitations apply, lets face it you are paying to for an expert opinion. The most important decision in the process is trusting your Pest Management company and the licensed installer. 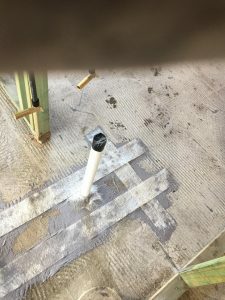 Trusting they install the system in accordance with AS3660.2-2000 and product labels, whilst delivering the limitations if any on the installation/treatment. Remembering, Visual Termite Inspections and termite eradication of live termites is an essential process that should never be removed or forgotten, prior, during or after any termite management program. 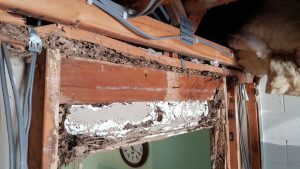 Regardless of any of the above termite management systems mentioned, the home owner obligation does not change, where Termite inspections and treatment of live termites found on the property are considered essential, failure to put in place such measures is likely to void any warranty, if any provided. Limitations on this article, The above mentioned systems may not be suited for all properties, please ensure you engage a licensed professional to assist you in managing your home. The above information is a guide only, it is impossible to make an informed decision on the best method of termite management, till such time the property is visually assessed and inspected. Termites are never going to stop and the surrounding Brisbane Suburbs are at extreme risk. The termites we know of that are eating houses daily is excessive, so the reality of the unknown termites on the attack is highly likely astronomical. Termites never sit still. As much as real estate agents loves to mention, “Termites are always found in landscaping timbers, fences, stumps surrounding the home, it’s OK. Well, NO it isn’t. 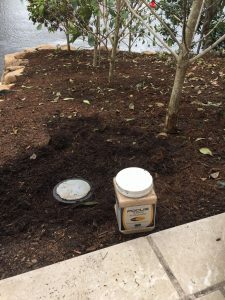 Termites will work their way towards these food sources surrounding the home, then send out more troopers to seek more food, most likely the next attack is will be the home that has termites in the yard, fence. The old wives tale, “just leave them, they are happy eating the fence” SORRY wrong again, as mentioned above they are similar to humans, one feed at Maccas is not enough for humans, we seek further meals from Coles and Woolworth’s as well as keeping an eye out for a new restaurant opening. 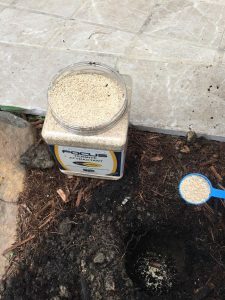 Brisbane Termite Protection offer a range of systems, but when a home is built into a hill or is a split level home, then it becomes difficult to provide protection using a chemical barrier or chemical treated zone. 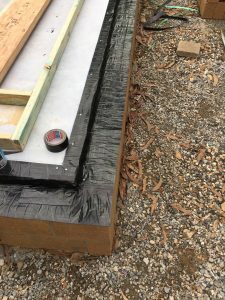 When construction creates limitations on protecting a home, we move straight into offering the customer the best approach in protection against termites for this type of structure where we install the Exterra Interception & Baiting system. Exterra is designed to pick up foraging Termites travelling beneath the ground. 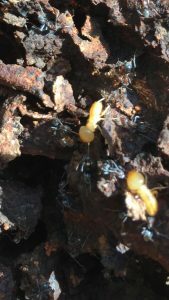 Once termites have been located, a bait is applied to eradicate the colony. Exterra is world known and provides the ultimate protection against termites when construction makes things difficult.